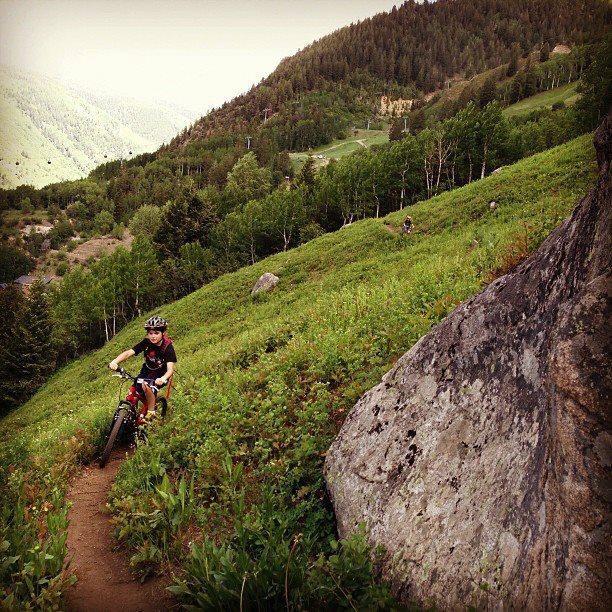 We are progressing more and more towards BMX biking here at camp, although we still have our Mtn Bikes and will certainly put on a helmet and conquer world-class mountain biking trails in the Aspen and Snowmass areas. We really like BMX biking because it is super awesome for all ages, there are several pump tracks that we love for the bank turns and small jumps and rolls. Furthermore, BMX biking is excellent for bike skills progression, balance, and getting a great workout without the misery of mile-long uphill climbs. For Mtn Biking, whether you are first time on dirt or training for the next bike race, we have rides and trails to suit all levels and abilities. Counselors also like offering more mellow rides on bike paths and have been know to offer bike scavenger hunts or even “bike and spike” (bike to the sand pit to play spikeball). From smooth paths, to dirt double track, to technical singletrack, mountain biking offers a great way to get some exercise, learn some new skills, and have tons of fun.